A handful of Gustavus Adolphus College students are assisting geology and environmental studies professor Laura Triplett with research on several rivers this summer. Gustavus Adolphus College senior Anna Eames has made her mark in the swimming pool at Gustavus and on the international level. 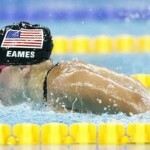 She will be competing for the United States at the Paralympic Games in London later this summer. More than a dozen Gustavus Adolphus College physics majors are conducting research and completing diverse and prominent internships all over the country this summer. 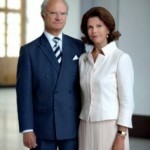 Gustavus Adolphus College has announced that members of the public as well as the College community will have the opportunity to enter a lottery to obtain tickets to public events when Their Majesties King Carl XVI Gustaf and Queen Silvia of Sweden visit the College on Friday, Oct. 5. 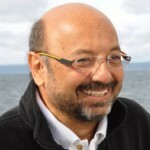 Learn more about David Gallo, director of special projects at the Woods Hole Oceanographic Institute. Gallo will speak at this year's Nobel Conference at 10 a.m. on Tuesday, Oct. 2. 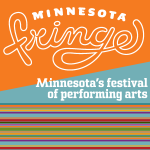 A number of current and former Gustavus students and faculty will be performing and directing at the 2012 Minnesota Fringe Festival, which will take place August 2-12 at various locations in Minneapolis and St. Paul. 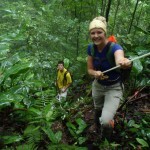 Gustavus Adolphus College senior Rachel Oien '13 is one of 12 students taking part in a summer research experience for undergraduates at Texas A&M University's Soltis Center for Research and Education near the Monteverde Forest in central Costa Rica. 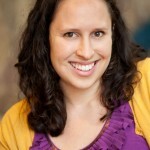 Gustavus Adolphus College alumna Kaitie O’Bryan ’10 has been named a 2012 Knowles Science Teaching Foundation Fellow, a highly competitive and prestigious award that will provide her with $175,000 in funding and considerable professional development opportunities over the course of the next five years. One of the two books released last winter in recognition of Gustavus Adolphus College’s Sesquicentennial has received a Midwest Book Award from the Midwest Independent Publishers Association. 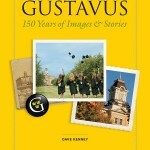 Gustavus: 150 Years of Images and Stories by author Dave Kenney was named the 2011 winner in the Coffee Table Books category. 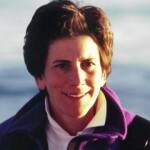 Learn more about Dr. Barbara Block, the Protho Professor of Marine Sciences at Stanford University and the founder of the Tuna Research and Conservation Center--a collaboration between Stanford University and the Monterey Bay Aquarium.